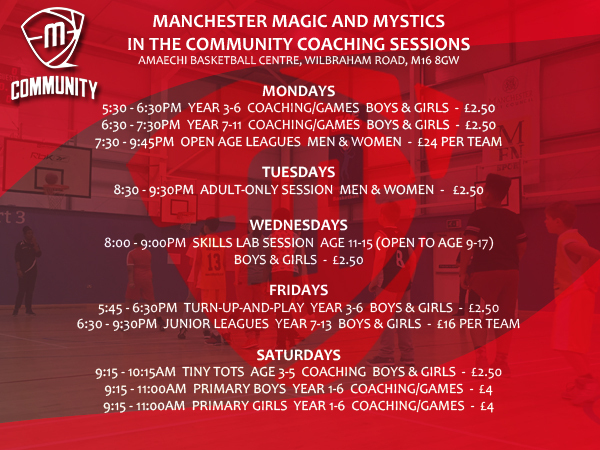 In this week’s edition of our newsletter you’ll find: May Community Basketball Camp, On The Website, Want To Play 3×3 Basketball?, Fancy Joining Our Community Leagues?, Shop Online?, Community Sessions and Walking Basketball At Amaechi Basketball Centre. We hope you enjoy it. 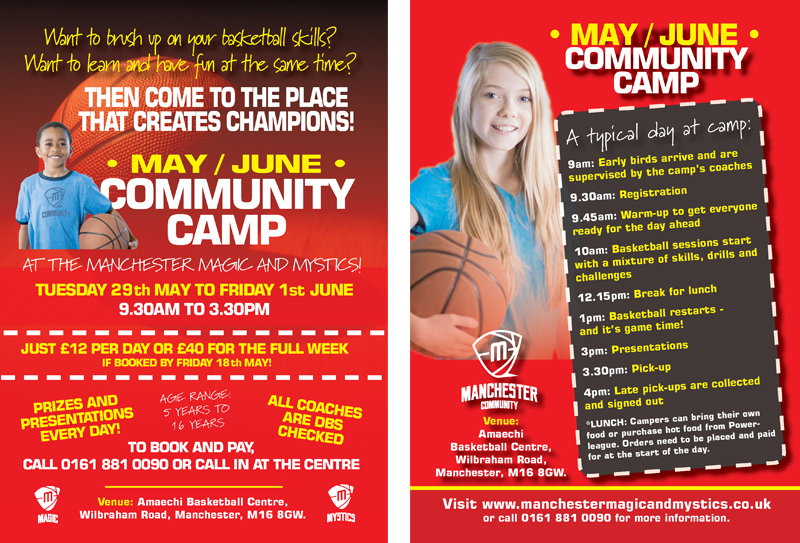 The Manchester Magic and Manchester Mystics will be holding a four-day basketball camp this May. 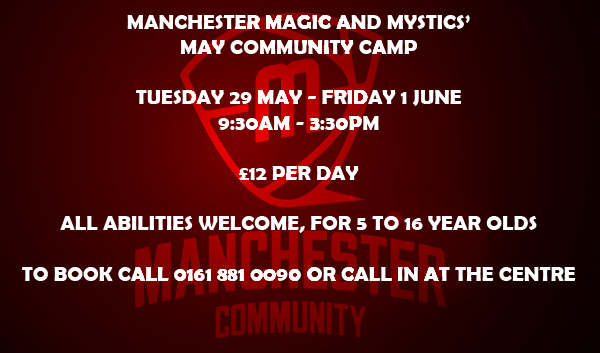 The camp will run from Tuesday 29th May to Friday 1st June. It’s for children in aged 5 – 16 years old and will run from 9:30am to 3:30pm each day. 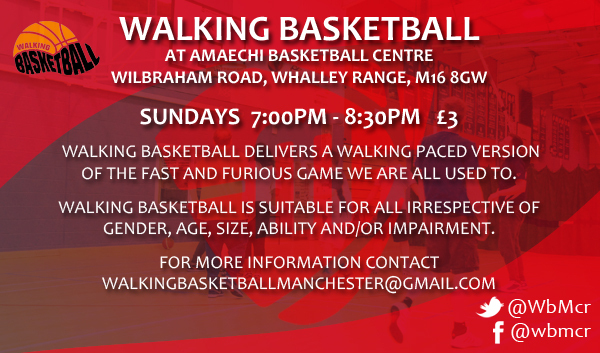 All abilities welcome. 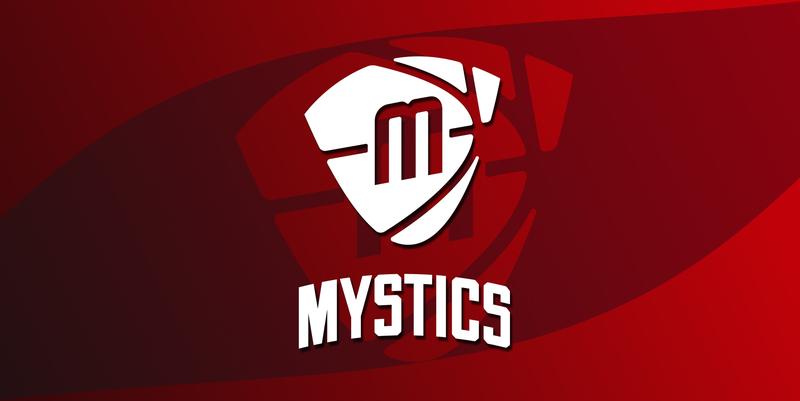 You’ll get expert tuition from some of the top National League coaches in the country, together with some of our senior Magic stars. The cost of the camp is £12 per day. 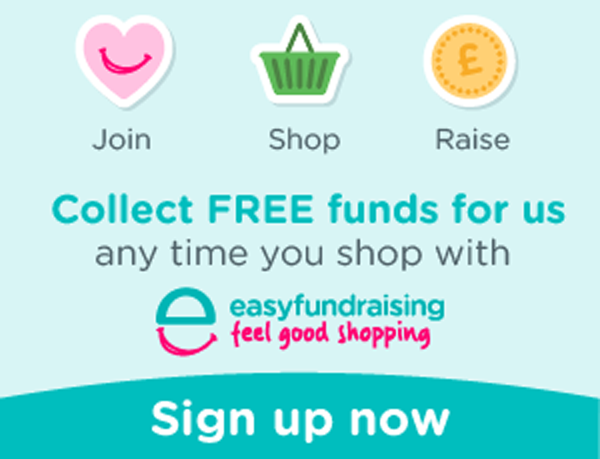 Fantastic news, we have raised over £770 via Easyfundraising! Thank you to everyone who signed up and helped us reach this mile-stone, join today and help us reach £800! 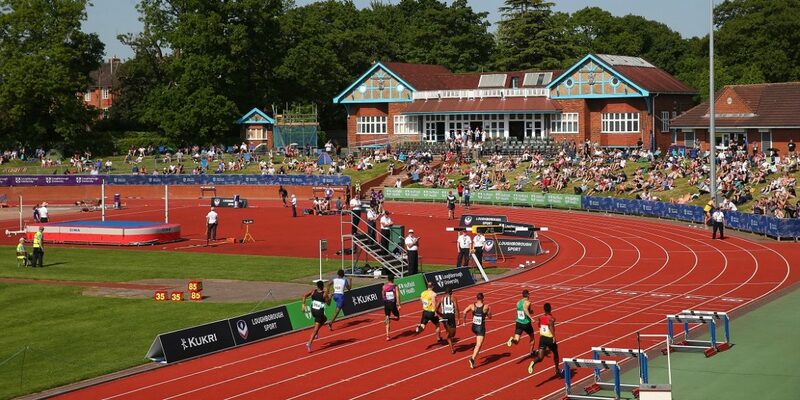 The second British Athletics Futures Sprint Relay camp at Loughborough on the 18th & 19th of May produced some promising results from the British junior team at Loughborough International on Sunday, 20 May. The men’s junior 4x100m squad clocked the fastest U20 relay time since 2012 on their first outing of the season in 39.53. The team of Dom Ashwell, Charlie Dobson (Stephen Garnham), Jona Efoloko (John Smith) and Chad Miller (Ryan Freckleton) set the second fastest time of 2018 by the Power of 10 rankings in the process. Eden Davis (Catherine Walker), Rio Mitcham (Leon Baptiste), Michael Olsen (Bill Walker) and Daniel Afolabi (James Roughneen) put in a strong showing to win the second of the relay races in 40.90. The women’s junior team of Kristal Awuah (Matthew Thomas), Alisha Rees (Leon Baptiste), Georgina Adam (Denise Timmis) and Amber Anning (Ryan Freckleton) worked well together throughout the weekend and the relay camp itself. Vera Chinedu (Matthew Thomas), Mair Edwards (John Davis), Hannah Kelly (Les Hall) and Ebony Carr (Mike Leonard) comprised the individual team, who clocked 45.91, finishing fourth in the process. Immanuela Aliu (John Blackie), Amy Hunt (Joseph McDonnell), Samir Williams (Paul Weston) and Brandon Mingeli (Benjamin Davies) were the other athletes involved with the Futures relay camp. The camp built on what athletes had learnt at the first relay camp in March, with more of an emphasis placed on baton skills and changeovers. There was also the opportunity for the Futures Coaches to fine-tune athlete pairings for changeovers to ensure the strongest possible performances from the junior teams. 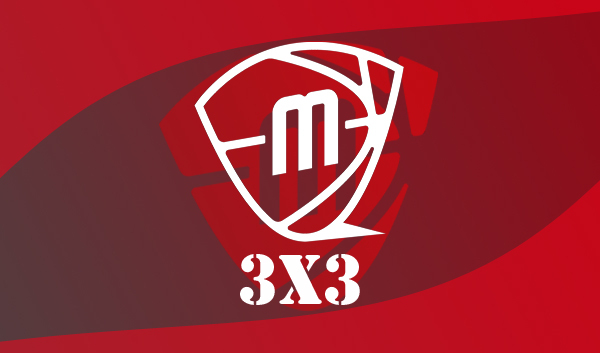 The next Futures Sprint Relay Camp will take place on Thursday, 21 June and Friday, 22 June on the eve of the Mannheim Gala, held on Saturday, June 23. Mannheim is seen as one of the top junior meetings for relay squads and will give the British team another competitive opportunity on the international stage. 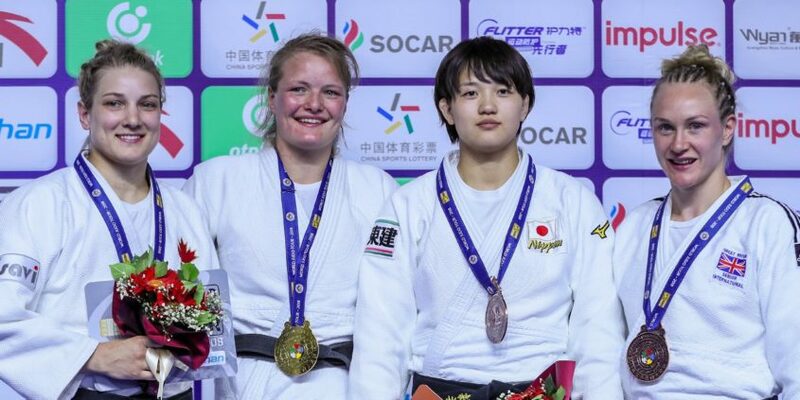 In arguably one of Gemma Howell’s finest days of judo on the mat, she claimed an excellent Bronze medal at the Hohhot Grand Prix in China to back up the Bronze medal won at the European Championships earlier this month. The draw was not kind to Howell and her route to the Final Block was anything but straight forward but an excellent win over the World No.1 and current World Champion Chizuru Arai (JPN) was the spring board to her claiming the bronze medal. World No.5 Anna Bernholm stood in the way of Howell claiming the Bronze. Bernholm recently won Gold at the Antalya Grand Prix so has showed signs of recent form on the mat. It was a cagey affair throughout and with the scores level after regulation time, Golden Score beckoned. Bernholm possessed a distinct height advantage over Howell and continually tried to use this to her advantage with her left-handed grip. Howell, however, dug deep and repelled the best that Bernholm could throw at her and with just over two minutes gone in Golden Score, Howell was able to register a maka-komi to hand her a deserved medal. Howell started the day in quick-fire fashion as she came up against Austria’s World No.16 Michaela Polleres in the -70kg category. 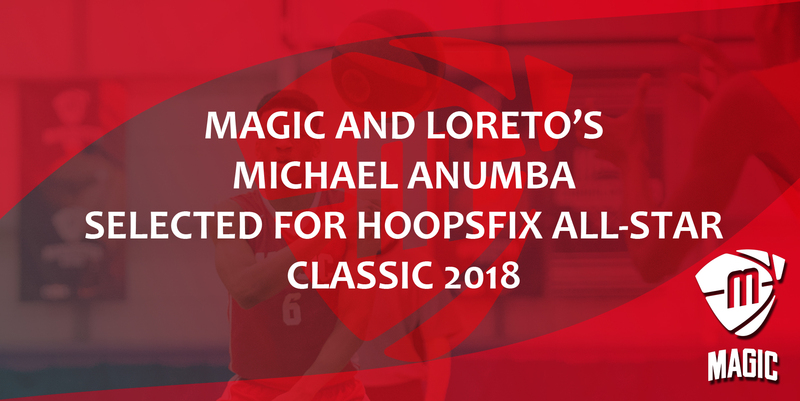 It was a battle of the European Championships Bronze medallists and it was Howell who came out on top again as her impressive newaza skills ended the contest in the opening minute. Similar to her victory at the European Championships, Howell worked Polleres onto the mat and worked hard to secure the strangle and after finding a way to secure her opponent, Polleres had no choice but to submit. The contests would get no easier for Howell as Germany’s World No.33 Laura Vargas Koch awaited her in the second round. As anticipated it was close fought contest between the two as neither judoka could quite find a score to take the lead. With two shidos a piece and entering the final minute of the contest, Howell worked Vargas Koch to the mat and sensed an opportunity. She worked hard in newaza to secure a second victory of the day via strangle. It would prove to get no easier for Howell as Japan’s World No.1 Chizuru Arai stood in her way in Quarter Final, and in Howell’s most impressive contest of the day, she secured an ippon finish over Arai. To add context to the result, it is the first time that World Champion Arai had not finished in a the top two in a competition that she had entered since 2015! Both fighters took some time to size each other up and Howell started to ramp up the pressure on the Japanese judoka. Arai picked up shidos frequently and with Howell continuing to attack, she picked up a third shido and handed Howell the victory. She couldn’t keep up the momentum into the semi finals however, as Holland’s Sanne Van Dijke was able to topple Howell’s bid for Gold ended with a waza-ari defeat. She brushed aside Mongolia’s Naranjargal Tsend-Ayush in under a minute to set up the bronze medal contest against Bernholm. Daniel Powell continued to build up his experience at Senior level competition as he took on Brazil’s World No.18 Marcel Contini in his opening round contest in the -73kg competition. Contini has a range of Grand Slam and Grand Prix medals to his name and Powell secured an impressive victory over the Brazilian courtesy of a waza-ari. He had to be careful during the closing stages of the contest after picking up shidos throughout but showed admirable contest management to see off Contini. Russia’s World No.16 Musa Mogushkov stood in Powell’s way in the second round but Powell could not see off the Russian as he fell to an ippon defeat. Mogushkov scored with a waza-ari with a minute gone on the clock and caught Powell just a minute later with a well-timed throw. Stuart McWatt opened his account in the -81kg competition with an impressive ippon defeat of home judoka Haiyuan Gao in the first round. McWatt dominated throughout against his inexperienced opponent and eventually secured the ippon finish with just over half of the contest remaining. World No.5 Alan Khubetsov (RUS) awaited McWatt in the second round. An early waza-ari score for the Russian proved to be the difference between the two as Khubetsov forced McWatt to the mat and drove hard with his legs to rotate McWatt and pick up the score. McWatt could not respond in the time and exited at the second round. With Lucy Renshall’s late withdrawal through injury, Lubjana Piovesana was GB’s sole representative in the -63kg category. Piovesana has shown recent good form on the mat following a Gold medal at the Orenburg European Cup in Russia, but after receiving a bye in the first round, she came up against China’s Jing Tang. It was a tight contest throughout with several near misses for Piovesana and when she did connect with a throw, Tang was able to find the rotation to avoid the score. Just under a minute into Golden Score, Piovesana was countered and rolled over to secure a waza-ari for Tang and eliminate Piovesana. Owen Livesey suffered a first round defeat in the -81kg category at the hands of China’s Lasai Zha, with a single waza-ari proving to be the difference between the two fighters after regulation time. Tune in tomorrow as Jamal Petgrave (-90kg), Max Stewart (-90kg) and Jemima Yeats-Brown (-78kg) all take to the mat as they look to add to Gemma Howell’s Bronze medal win. 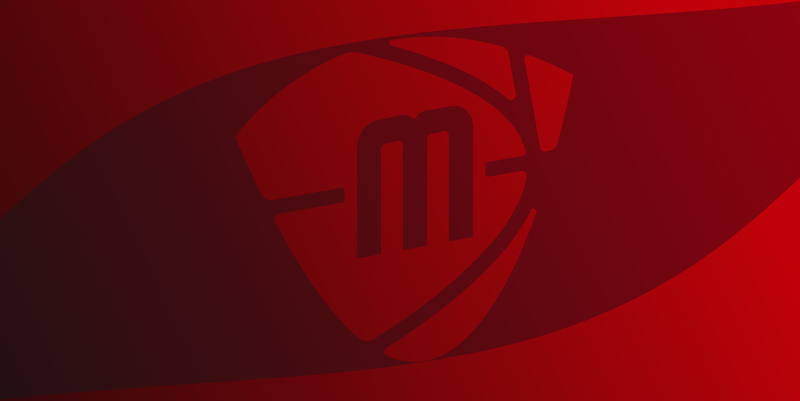 Keep an eye on our social media channels for full live event reporting from the Final Block from 9:00am tomorrow morning. 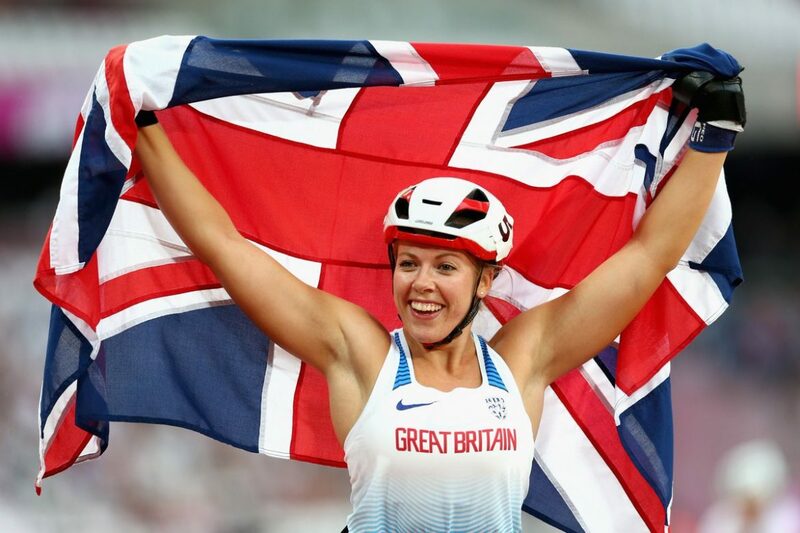 Ten-time world champion Hannah Cockroft (coach: Jenni Banks) headlines the field at the World Para Athletics Grand Prix in Nottwil from today 25 May to Sunday 27 May. 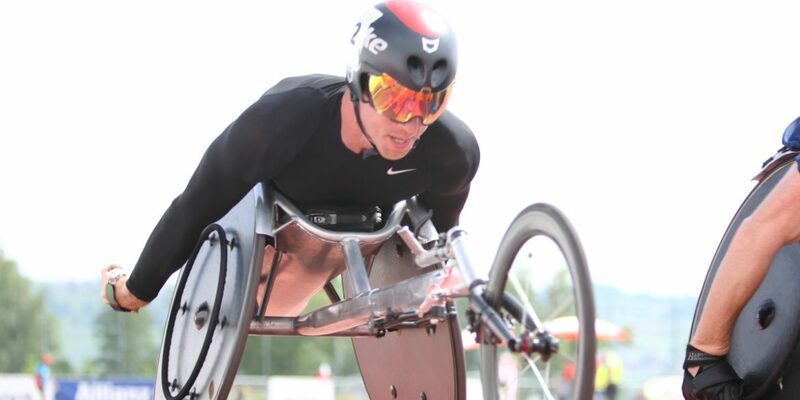 Cockroft enjoyed a successful series out at the Swiss meets last year, clocking world records over a number of distances to prepare perfectly for last summer’s World Para Athletics championships. She will be targeting more fine preparations this time around for the 2018 summer season, starting with the 200m and 800m on day one. 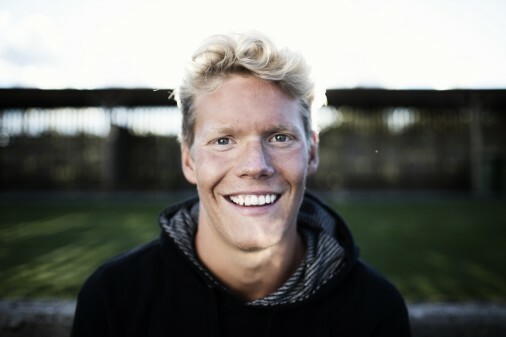 World medallist Richard Chiassaro (Banks) continues to show great form after an unfortunate puncture during the Commonwealth Games final earlier this year, and will be looking for some quick times across the three days in Switzerland. He will be joined by the ever-improving Nathan Maguire (Ste Hoskins) and British Athletics Futures Academy athlete Dillon Labrooy (Jenny Archer) in a series of T54 200m and 800m heats on the first day of track action. World T53 100m silver medallist Mickey Bushell (Archer) lines up at the start of a busy week, as he also competes in the Daniela Jutzeler event and Swiss Nationals after the GP. Commonwealth Games silver medallist in the marathon, JohnBoy Smith (Archer), continues to sharpen up on the track, with his name on the entry lists here. Full start lists and results will be available here. 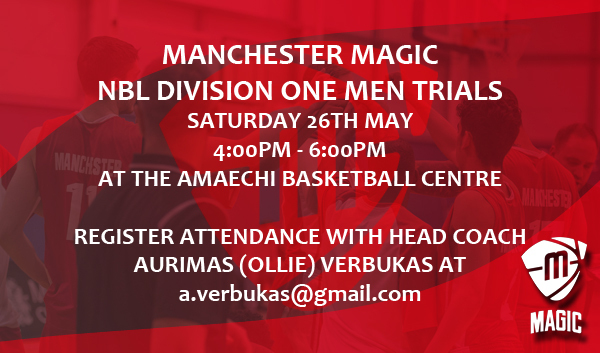 In this week’s edition of our newsletter you’ll find: May Community Basketball Camp, Magic Senior Trials, On The Website, Want To Play 3×3 Basketball?, Fancy Joining Our Community Leagues?, Shop Online?, Community Sessions and Walking Basketball At Amaechi Basketball Centre. We hope you enjoy it. 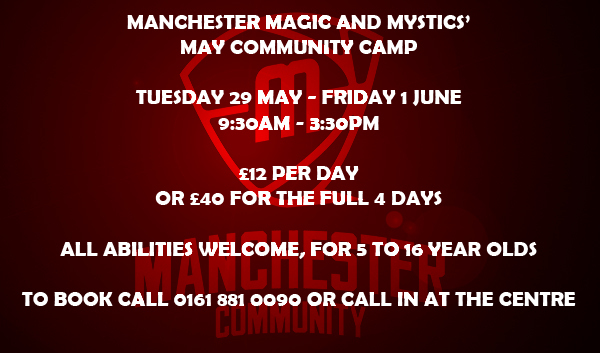 The cost of the camp is £40 for the full four days or £12 per day. Food, Football and Travel. What a combination! Brendan Murphy-The Chef Explorer has spent the last 30 years cooking, traveling, teaching and writing about food and culture from around the world. He has also been teaching Commercial Cookery at Technical Colleges in WA and the UK as well as his own ‘Taste of the World’ Cooking Classes for Adults and Kids at School. He has been writing a regular Cookery Column for the ‘Swan Magazine’ for the last 10 years and published his first book ‘A Taste of the World’ in 2010. That book was a successful ‘ recipe ‘ of true Chef and Travel short stories, set in 12 countries where he has worked or travelled, including info on their culture and cuisine and an authentic recipe. This book is the same format but with the extra ingredient of the ‘World Game’ =football! It profiles all 32 countries including travel and food highlights and a tasty recipe to prepare and enjoy during the tournament. 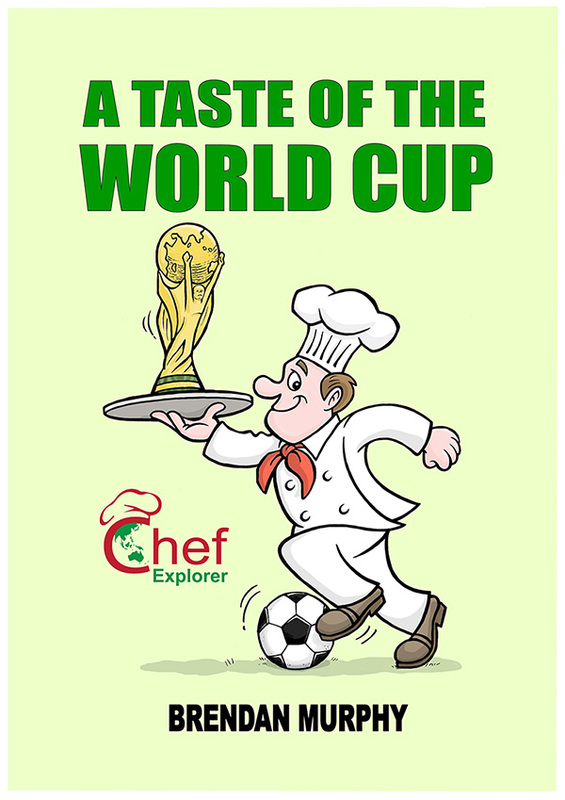 Plus, of course the extra ingredient of each countries World Cup history thrown in the pot to deliver a truly Tasty World Cup & Cuisine Experience! 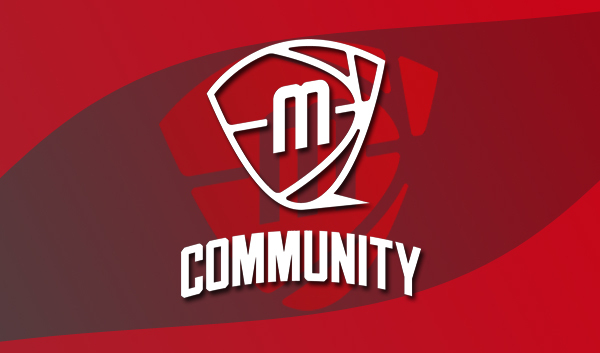 Embrace the delights of international cuisine, plan your games and enjoy the food. Another useful hint is not to forget to apply a waterproof sunscreen on your neck and shoulders, and even the backs of your legs. And stay well hydrated, drink fresh water regularly (Bluewater’s water purifiers deliver water as pure as nature intended), especially if the weather is warm.